Kim Jae joong’s 日 solo album `Flawless Love,'' released on April 10. 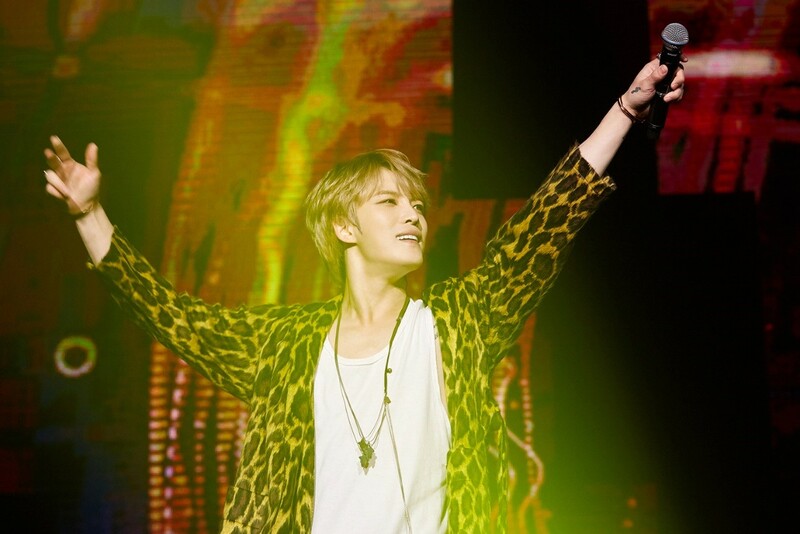 Singer Kim Jae joong's pre-released Japanese solo album has topped the list of eight countries on iTunes overseas. The agency C-JeS Entertainments said "Kim Jae joong will sing the theme song of the Japanese drama OST, ‘君だけになる前に, released in advance on 25, topped iTunes charts overseas a day after its release, continuing explosive popularity as a "global artist,"
Kim Jae-joong's new song "君だけになる前に" is the first OST of the TV Asahi drama to air on April 5, and has become the talk of the town with the song from his full album released in Japan on April 10. “君だけになる前に” day after its pre-release on 25, it made a splash, topping the Japanese Oricon Daily Digital Singles ranking at No. 6 and the J-pop section of the three foreign iTunes charts in Thailand, Poland and Malaysia. Previously, Kim Jae-joong received keen attention as his song "Sweetest Love," which was released in advance on the 11th, also topped the Japanese charts, as well as iTunes J-pop in eight overseas regions, including Thailand, Malaysia, Taiwan and Hong Kong. Kim Jae joong's solo full-length album, which was released last year, is also getting more and more anticipation, with the album "Sing/Your Love" and "Defiance" also topping the Japanese Tower Records comprehensive singles chart and the Oricon Weekly single category. Kim Jae joong's Japanese solo album has been on the top of the charts, has been gaining huge expectations for Kim Jae joong's future moves, which have proved to be a global trend, beyond Japan even before its release. Kim Jae joong will release his first full-length solo album "Flawless Love" in Japan on April 10 and hold a Arena Tour that will host 12 performances in six cities.